The Department for Transport (DfT) will be re-letting the contract for the West Midlands rail franchise this year, which includes the Abbey Line. The report contains the findings of a ticketless travel survey undertaken between 21st March and 24th April 2016 across the West Midlands franchise area. 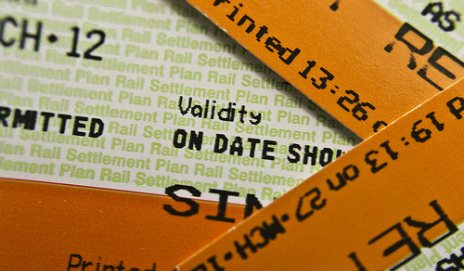 The survey measured ‘irregularity rates’ and ‘revenue at risk’ – in simple terms ‘irregularity rate’ is the proportion of passengers that have an invalid ticket or no ticket at all, and the ‘revenue at risk’ is the amount of money that London Midland, the Train Operator, are estimated to be losing as a result. The Abbey Line shows the HIGHEST irregularity rates (36.4%) across the entire West Midlands franchise area – that is, 36.4% of passengers using the branch do not carry a valid ticket (for whatever reason). This is significantly higher than ABFLY estimates, which had put the rate of ticketless travel at 18-20%. The Abbey Line leads the field in terms of irregularity rates by some 10% against the second worst-performing line which was New Street – Wolverhampton – Wellington/Shrewsbury. In terms of ‘Revenue at Risk’, the Abbey Line is in the lowest category. So, put simply – London Midland and their paymasters in the government don’t mind you travelling for free on the Abbey Line since they lose an insignificant amount of money because of it! Unfortunately this stands to reason in the world of cold, hard business – but when ticket sales data are the driver of official government line/station usage statistics, is it any wonder that the Abbey Line is always slated as ‘under-used’ and therefore performs badly when it comes to evaluating investment proposals such as the passing loop. “There is no business case” for rail improvements, we are always being told. Rip it up and convert it to a road then, say Hertfordshire County Council and their road-building chums! There is no doubt that this is the worst kind of statistical misrepresentation in order to play down the line’s potential, perhaps as a precursor to closure – worthy of Dr Beeching himself. And don’t forget with Network Rail and the train operators being government-funded, to a greater or lesser extent, the lack of effort being put into revenue collection effectively represents a defrauding of the taxpayer – that’s you and me! Thankfully there is some hope on the horizon though. Due to ABFLY’s campaigning and sheer dogged persistence on this issue over the last few years, the government and London Midland were reluctantly forced to concede that there is a problem and they are now taking steps to rectify it – by installing ticket machines at every station. At least when they actually work or haven’t been vandalised, there is now less of an excuse for not having a ticket when passengers board the train. But the only thing that will really help to improve matters is to have a member of staff on every train, of every day, who is dedicated to the issuing and checking of tickets. Better still, an Oyster-style smartcard system and barriers at stations. Here’s hoping that in the forthcoming franchise renewal, the winning bidder will come up with a significantly more robust approach to ticketless travel on the Abbey Line. The problem, by the government’s own admission, is now indisputable.